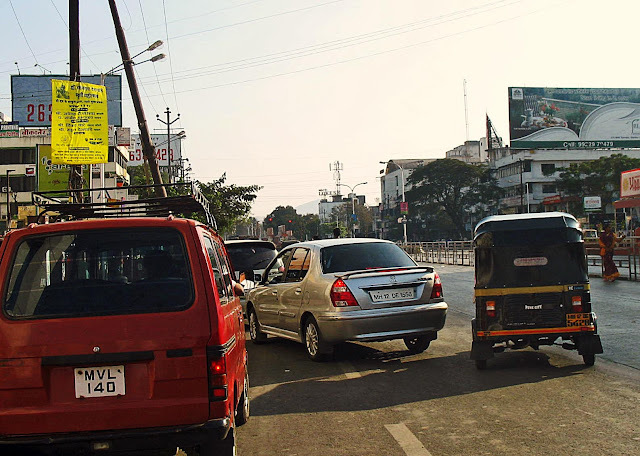 These are images of people breaking traffic rules in the cities of Mumbai, Pune and Thane. 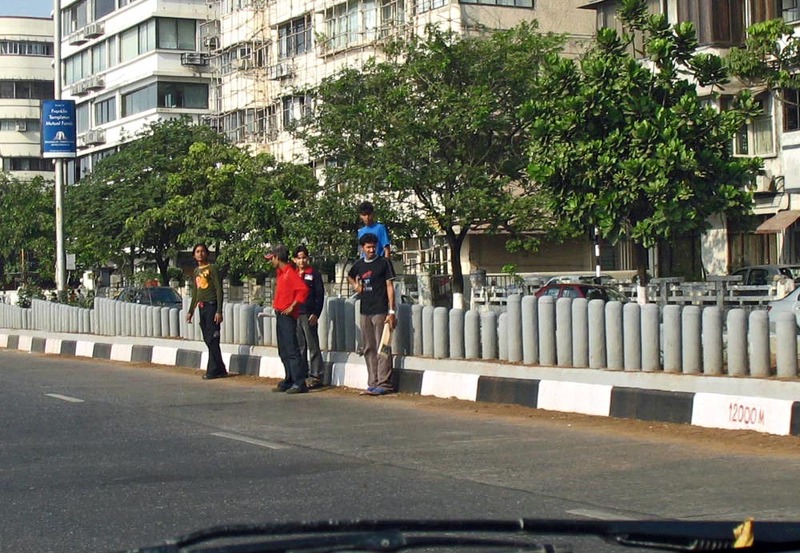 The culprits are not just motorists and two-wheelers but ordinary pedestrians. 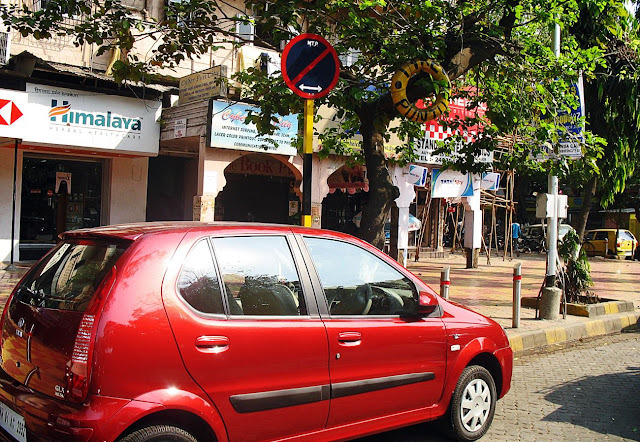 The first image is that of a red car parked right below a sign in Mumbai which says "No Parking." Parking rules apply only to private cars (government of India vehicles can park wherever they want without a fine) but even private vehicles do not pay heed to the rules unless a cop is around. 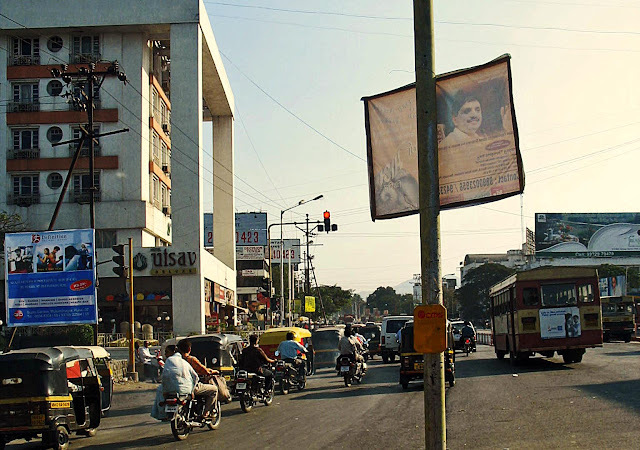 Double parking is common everywhere in Indian cities as there is a shortage of parking space. Commuters endanger themselves by getting off at the wrong time, even before the bus has halted at a bus-stop. They endanger their lives but there is no telling them anything. The bus drivers and conductors do not care either. It reduces their halt time. 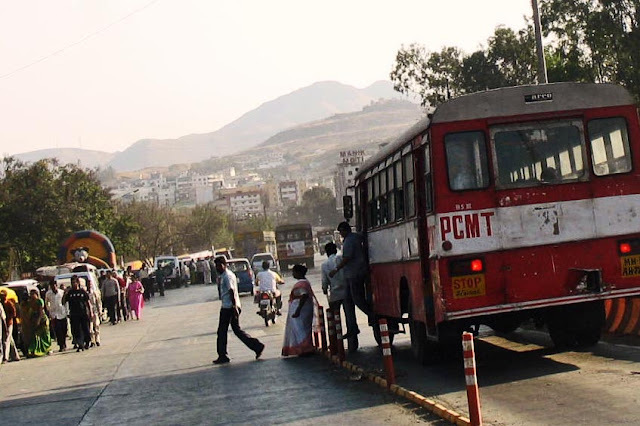 This photo was shot in Pune with the Parvati hill in the background. Here you can see two-wheeler drivers brazenly driving into the red-light. Breaking traffic rules is no big deal and there are not enough traffic policemen to stop it. 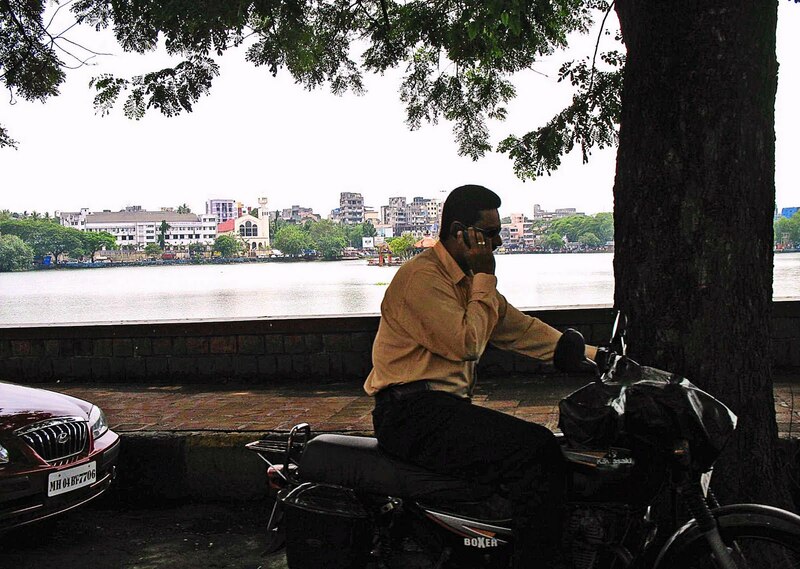 This photo was shot in Pune, of a man speaking on the cell phone while driving a motor bike. He has slowed the traffic behind him but he hardly cares. Thane lake is in the background. 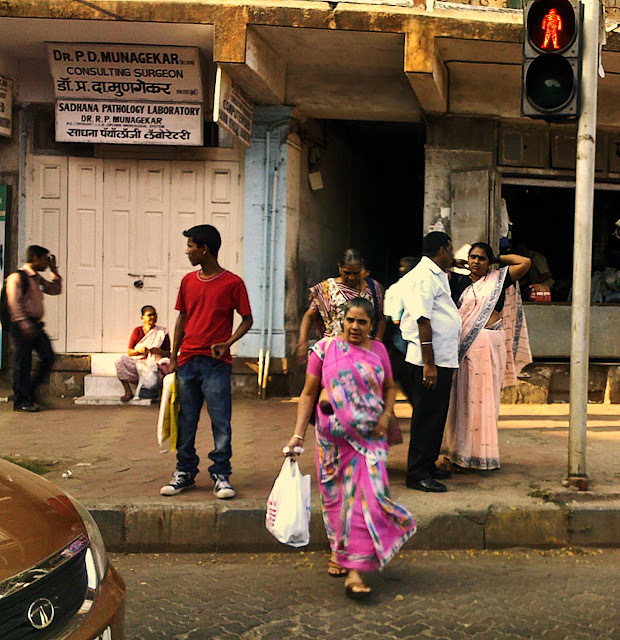 Here is a woman marching across the road, oblivious to the red light which is telling her to wait. She is lucky that the car has slowed down to let her pass. Here is a picture of young educated people breaking a major traffic rule. Jumping over erected barricades on Marine Drive and crossing the road through the fast moving traffic. Motorists have little choice but to stop.